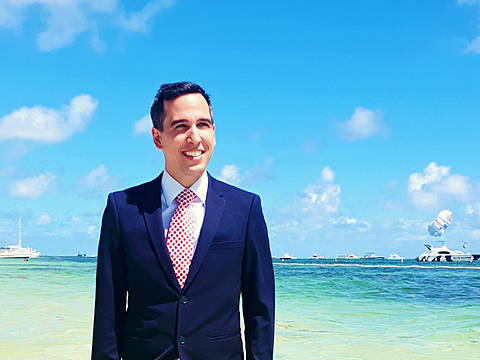 After graduation from the “Finance and Banking” Master studies programme at Vytautas Magnus University (VMU) in Kaunas, Lithuania, Rovshan Jamalov from Azerbaijan was selected as an economic researcher at the Center for Economic and Social Development in his home country. Rovshan reports that VMU provided him with a strong theoretical and practical financial background and that the time spent at VMU was the most memorable experience in his life. What expectations and goals did you have before starting your studies at VMU? Did you manage to achieve them? When I received the admission letter from VMU I was very happy and excited at the same time. I have already understood that I am taking up new responsibilities. Until my application to VMU, I was planning to study finance - but my Bachelor degree was in marketing. I knew therefore that it would be extremely hard for me and admission seemed impossible. However, I am very grateful to VMU for considering my wish, my desire. As a result of VMU support, I achieved my goal, I got the Master degree in finance. As I have mentioned in the first question, I was planning to study finance. I can say that I am someone who wants to work hard, who is not afraid of responsibility. That’s why I think that finance is one of the most complicated courses among Master studies. Additionally, there were a lot of reasons that influenced me to choose “Finance and Banking” course, among them the job opportunities. What about your professional career? Where did you start work after your studies? And what do you do now? Currently, I am continuing my academic life. After graduation from my Master studies, I was selected as an economic researcher at the CESD (Center for Economic and Social Development) in Azerbaijan. CESD is the leading thinking tank of Azerbaijan which was ranked 1st in Central Asia according to the 2015 Global Go To Think Tank Index Report. During 4 months, I did a lot of research regarding Azerbaijan's economy: energy policy, state budget, financial situation etc. Now, life brought me to the academic sphere. In October 2015, I became a lecturer at the International Economics chair of the Azerbaijan State University of Economics (UNEC). I am teaching lectures in International Investment and World Economy and from next year, I will teach Financial Management and International Finance. How did VMU and the study programme help you to achieve your goals and proceed with your career? VMU gave me strong research skills, theoretical and practical financial knowledge which helped me to realize my wishes. 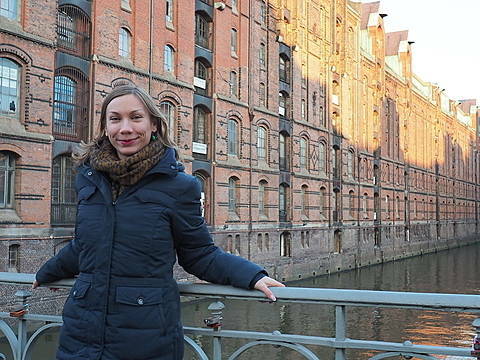 What is more, during my Master studies, VMU provided me with an opportunity to apply for an exchange program and I got a chance to study in Finland as an exchange student which proved my studies to be more valuable. The time spent at VMU was the best and most memorable experience in my life. 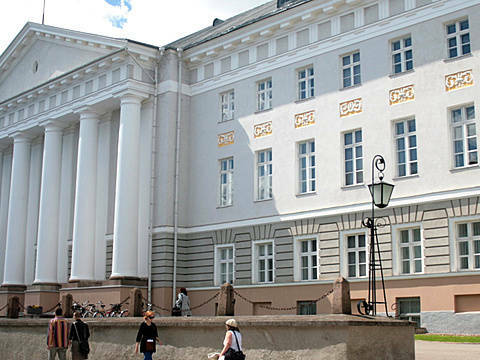 Studies at VMU gave me opportunities, a strong academic background and good friends. That’s why, as a VMU ambassador, I would like to advise all international readers of this interview to come to VMU.